Eliza Skinner is an LA based comedian who TimeOut LA & NY have described as “one to watch”. She was the head writer for Drop The Mic on TBS, and is a frequent guest star on “Take My Wife” on Starz. She was also a staff writer and performer on CBS’s Late Late Show with James Corden, TruTV͛s Adam Ruins Everything, and FXX’s Totally Biased w/ W Kamau Bell (produced by Chris Rock). Eliza has also appeared on Conan, @midnight, Chelsea Lately, and Talk Show The Game Show. She has written and appeared in award-winning Funny Or Die videos – including “Mary Poppins Quits” and “Modern Office with Christina Hendricks”. 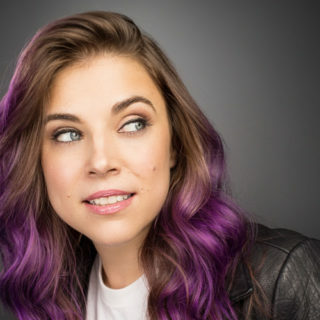 Eliza is also a regular at some of the best comedy festivals including SXSW, the NY Comedy Festival, Montreal’s Just For Laughs, the Bridgetown Comedy Festival, and the Edinburgh Fringe as well as headlining at college, comedy clubs, and theaters across the country. She is a favorite guest on comedy podcasts like How Did This Get Made, Never Not Funny, and Sponaeanation, and is the host of her own podcast, Cool Playlist.